About the group A repository for memories and research inspired by the photographs of the town. 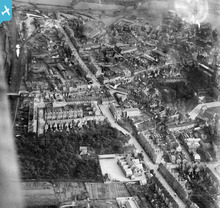 This photograph show s a large area of The Leys near the town centre. Another broad view covering many streets and landmarks in the town. A fantastic view of the town showing many different streets and landmarks. 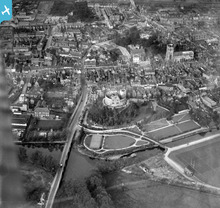 Welcome to this new group, I find the old photographs of Tamworth from the air quite fascinating. I hope you or anyone you show these pictures to can contribute some intriguing memories to the group. 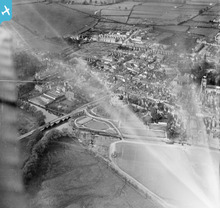 Don't forget you can zoom in on the pictures to reveal more detail to help get those memories flooding back.